Puerto Princesa is a city in a paradise place, where also you can do shopping in your free time. Not so far from the city you can reach white beaches and the jungle for a relax time. 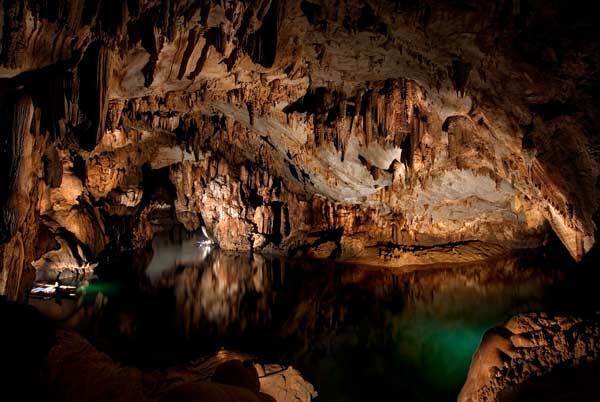 Puerto Princesa palawan was born only in 1970. Inhabitants are more less 151000, and main occupation are on agriculture and fishing. Puerto Princesa Philippinesclimate have wet and dry seasons. September is the wettest month, while february is the driest month. From October to April, the northeast monsoon hit with waves on the coast while southwest monsoon hit from April to August. Best period to come to Puerto princesa is from april to june, when sea is calm. Humidity is high while temperatures are at an average of 27 degrees. Could need warm clothing during nights in the rainy season. 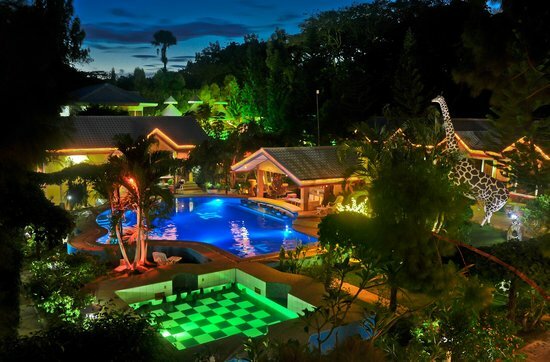 Located on Palawan Island, Deep Forest Garden Hotel features an outdoor swimming pool and 3 dining options. Free WiFi access and parking is available on-site. All rooms at Deep Forest Garden Hotel are air-conditioned, and includes a flat-screen cable TV and a safety deposit box. Spacious and airy, the rooms are furnished with traditional wooden décor, yet equipped with modern amenities. The hotel operates a 24-hour front desk, and guests are able to find a mini store, pool table and Jacuzzi. For dining, guests can patronise the al fresco restaurants, or even enjoy cuisines at the fine dining restaurant which is equipped with a wine cellar. White Mediterranean-inspired villas with free Wi-Fi are offered at Acacia Tree Garden Hotel, a beach-side property with an outdoor pool and massage treatments. Free 2-way airport transfers are provided from Puerto Princesa International Airport, just a 4-minute drive away. Surrounded by tropical gardens, it also has a 24-hour front desk and free on-site parking. Enjoying views of the pool and gardens from a private balcony, each non-smoking guestroom is equipped with a flat-screen TV and electric kettle. En suite bathrooms are fitted with hot water showers and free toiletries. 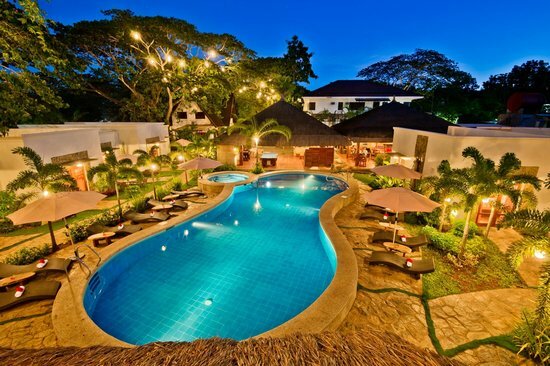 Acacia Tree Garden Hotel is a short 4-minute walk from Island Divers Palawan. The scenic Prestine Beach is a 6-minute drive away. Day trips and car rentals can be arranged at the tour desk. For recreation, guests can play billiards or darts. The hotel also provides meeting rooms, laundry services and luggage storage. Acacia Tree Garden Cafe serves both local and international dishes. Packed lunches are also available. In-room dining is possible with room service. 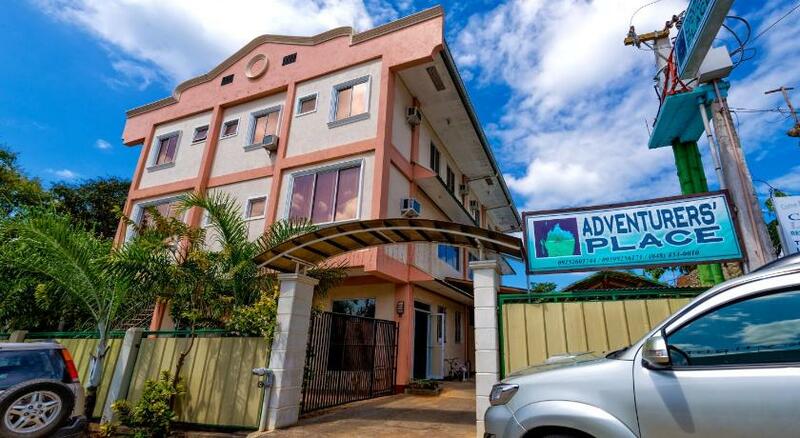 Featuring free WiFi throughout the property, Adventurers Place offers accommodation in Puerto Princesa, 7 km from Honda Bay. Free private parking is available on site. Balinsasayaw Restaurant – Rizal is 1 km from Adventurers Place, while Immaculate Conception Cathedral is 300 m away. The nearest airport is Puerto Princesa Airport, 3 km from the property. Palawan Island © 2019. All Rights Reserved.